John Meinen is a character. You know when he’s in the room — he’s simply impossible to miss. He works the crowd with his storytelling, jokes and the wisecracks, which come with almost every breath. You could easily imagine him as the class clown in school. 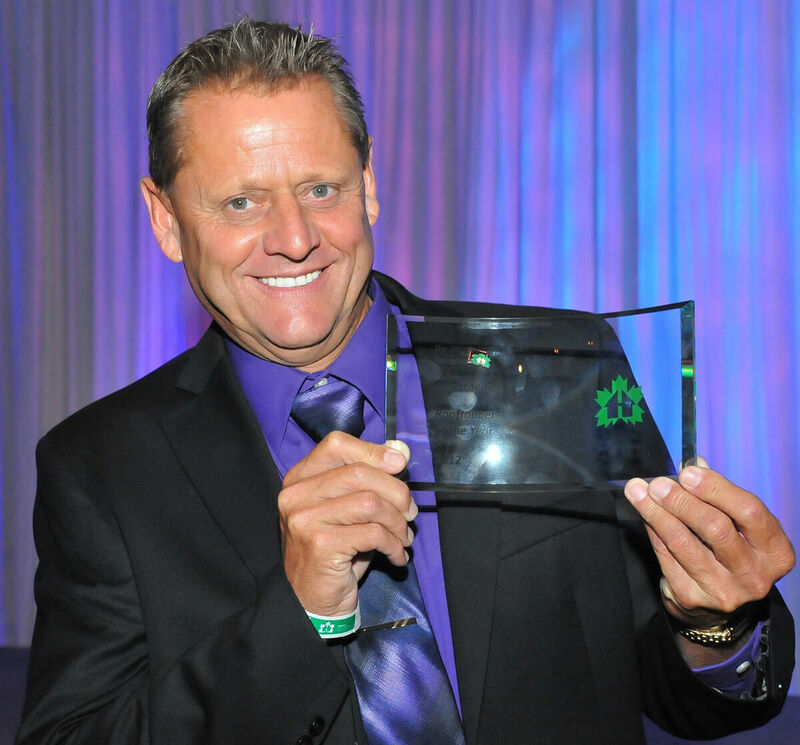 Yet, turn the subject to home building, the smile disappears and he leans closer with a “Let me tell you …” Meinen takes the challenges in building seriously — not just with his own business, Pinnacle Quality Homes, but the industry as a whole. As a result of his passion and dedication, he has been the province’s top recruiter for the past two years. At this year’s President’s Gala, he was named Rooftopper of the Year for the second consecutive year — the first time this award has been handed out to the same member two years running. The award was for work in his own Stratford and Area Home Builders’ Association where he helped increase membership from 80 to 105 members between 2009 and 2011. The last time his association had that many members was when he was president in 2005 — the same year Stratford was voted Local Association of the Year. The next four years saw a decline of members despite the efforts of the serving presidents and boards of directors. The Stratford association underwent some administrative changes and since Meinen was familiar with the status of the association, he volunteered in 2009 to take the helm again. The secret, he says, was displaying leadership. “People like leadership; they expect to get leadership from the organization they have paid money to. They need to know that leadership is working for them. In the past, we listened to the same complaints about the challenges facing the industry, but we heard no solutions. The key is to tell the membership every month what you are doing and what you have accomplished. Tell them what is being done on a local and provincial level.” And throw in a joke or two to keep them laughing. But Meinen’s work doesn’t stop at his own local association. As 2012/2013 2nd vice president of the OHBA, he has made it his mission to strengthen the provincial organization with as many bodies as he can find. He spearheaded the drive to organize Goderich and Area as the newly created Bluewater Home Builders’ Association, and has been meeting regularly with Woodstock and area builders to bring Oxford County back into the fold. Why such passion and drive? “I believe it’s necessary to increase membership in order to increase revenue for the associations. There are a lot of issues at the municipal, provincial and federal levels. We’re getting it from every angle — taxes, fees, development charges, workers’ compensation and so on. The strength of this organization is crucial to the challenges that face us. “There are big issues and we need to attract people who have the qualifications to fight some of these. More revenues mean we can hire the best people to fight the major and complex battles,” Meinen explains. This level of support wasn’t available when Meinen got into the business. His story is likely similar for most builders in the province. Meinen was building homes before he was remotely interested in builders’ associations, and the value provided by the various levels, but soon realized the importance of having a voice in the residential construction industry. He dropped out of high school at age 16 to work in home construction and started his own company a few years later. The lessons learned along the way were hard and often costly. Today, the local associations are a valuable resource. They are the collective voice for builders, giving the industry strength when taking on important issues and they provide a critical safety net for young companies by offering advice and support. Meinen’s dogged determination to get every builder to sign up is driven by a simple philosophy — everyone benefits from the success of the local and provincial associations. There is nothing that rankles him more than builders who say they don’t need to join the association; that they gain even if they are not members. 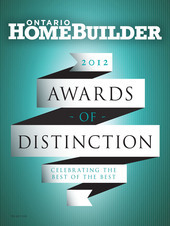 To purchase a copy of Ontario Home Builder – Awards 2012, click here.